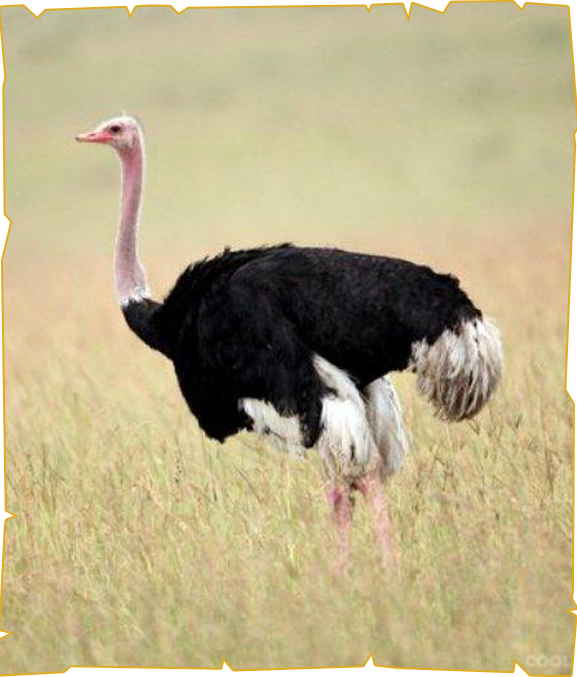 The flightless ostrich is the world`s largest bird. Unlike all other living birds, the ostrich secretes urine separately from faeces. Ostriches are the fast runners of any birds or other two-legged animal and can sprint at over 70 km/hr, covering up to 5m in a single stride. Wild ostriches live in the dry, hot savannas and woodlands of Africa. They once roamed all over Asia, Africa and the Arabian Peninsula, but because they have been hunted so extensively, wild ostriches` range has been reduced to sub-Saharan Africa, according to the University of Michigan Museum of Zoology.